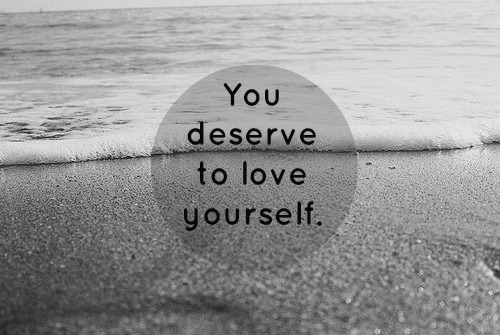 Loving yourself is probably the hardest thing you’ll ever do. It was never my cup of tea. Low self-esteem is my birth right. Anxiety, depression, frustration are all caused because of low self-worth at some point or the other. You have a dysfunctional relationship with yourself. When someone says something bad about you, you fire away but when you’re left alone you dislike yourself a little more. Knowing someone else’s opinion about you bothers you makes you feel helpless. You can’t help but feel make yourself feel even worse. Loving yourself is such a cliché. Most of the times we don’t even know how to do it. So how do you love yourself? And why is it so difficult to love oneself? We believe the negative more than the positive. Humans are designed that way. It’s called the “Negative Bias.” Negativity in life easy to remember and hence has more impact on us. It sticks to you forever. We never forget who called us fat, skinny or ugly. Feeling low sense of worth is much easier. It takes a lot of strength to feel good about yourself. You don’t know what you’re capable of. You are so used to your own self that you don’t even give yourself a thought. You’re so much more than you know or think. Discover yourself. We experience the difference between what is told and what actually happens. We often hear people saying “Every human being is beautiful”, “Each person is beautiful in his own way” or “True beauty lies in the heart.” While we know all these sayings we also know that all people do is judge and compare you. How do you believe that we are worthy of love when you never experience it? It can be difficult to find the will to love yourself. But you gotta do it if you want to make peace with yourself. You can’t live your life hating or disliking yourself. Start by listening to yourself. Make yourself feel good about the little things that matter. You matter.